For tax purposes, your profits should be calculated using normal accountancy practices. 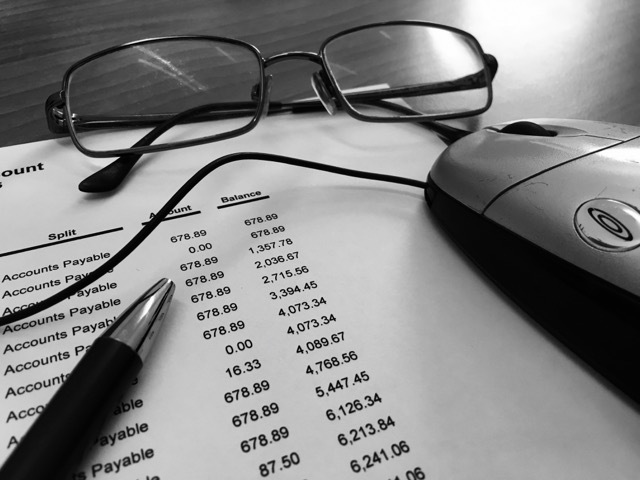 Accounting adjustments made to deal with bad debts, obsolete stock and other provisions are normally tax deductible subject to a few provisos we will discuss below. Accounting entries like depreciation and amortisation have their own set of tax rules applied to them and will not covered in the post. This is not the sort of subject most business owners consider on a daily basis but once you are in business, not everything is playing sailing. These issues need to be considered and reflected in your accounts. With a bit of understanding of the rules and effort on your part, you can ensure your accounting adjustments are tax deductible and keep your accountant and the Taxman happy. Accounting Adjustments - 3 Ways To Manage The Pain! When it is clear that one of your debtors is not going to pay with no prospect of reasonable or practical recovery, the debt can be written off in your accounts. This can then be treated as a legitimate tax deduction by your business. Clearly if at some point in the future the debtor pays up, the accounting adjustment for bad debts will have to be reversed, and the tax relief reversed. Accounting provisions for specific bad debts are allowed but the Taxman as accounting adjustments, as long as there is reasonable evidence to support the view the recovery is doubtful for each debt. For both the cases above, you must show you have made reasonable steps to recover these debts. This is why we recommend using Chaser or Satago which are Xero add-on modules that help automate the debt chasing process and record any correspondence with the debtor within their systems. General bad debt provisions have not been accepted in the past as reasonable accounting adjustments by the Taxman. With changes in legislation and a shift in the position of the Taxman, these can now be allowed. This is as long as they are calculated in line with the latest accounting standards. This is an area where you need to consult your Accountant to make sure your provision is compliant for tax purposes. Bad debt relief is available for VAT purposes too. Accounting adjustments for obsolete or slow moving stock will often be treated and documented in the same way as bad debts in order to be eligible for a tax deduction. Losses from theft by an employee or burglary can be deducted from your profits for tax purposes, if the amount is not recoverable under an insurance policy. Likewise any loss of stock through fraud or damage will give rise to a tax deduction. This deduction will generally be automatic through your stock control system or closing valuation. Thefts by a Director or someone else who has a "proprietor" capacity are NOT tax deductible. The Taxman tells us that provisions for liabilities ate tax deductible as long as the accounting adjustment confirms to normal standards. So if a provision reflects a current obligation arising from a past event, that means a payment will be made (i.e. a transfer of future economic benefit) that can be reasonably estimated, then the accounting adjustments will be allowed. Obligations can be legal ones (i.e. fines) or constructive ones where the business states it will act in a certain way e.g. a warranty repair or publicly announced restricting or redundancy event. Remember - We have noted in the past that a taxman can go back 6 years if he wants to make an enquiry. This is the reason why having good accounting records is a must. This is another reason why we recommend Xero to all our clients because all this is stored in the cloud and accessible at any time! Also, Xero allows you to explain and to upload all the supporting documentation required to justify your tax allowable accounting adjustments. It is clear that accounting adjustments are not at the fore-front of most business owners thoughts when looking to grow their sales and deliver products or services to their customers. This seems like the province of bigger companies who have full time qualified accountants to look after their affairs. However a bit of time reviewing your accounting adjustments should allow you to both state your accounts fairly in terms of performance, and ensure you only pay the tax you need to . Hopefully the tips above will ensure your accounting system works to ensure any accounting adjustments are fully allowable for tax purposes. If there's one message we want you take away from this post is to not shy away from making reasonable accounting adjustments which reflect the performance of your business. If done with care and the proper supporting paperwork these will be allowed by the Taxman too as tax deductible. If you know of any other great tips for making allowable accounting adjustments that can be shared with our readers then let us know via the comments or through LinkedIn.